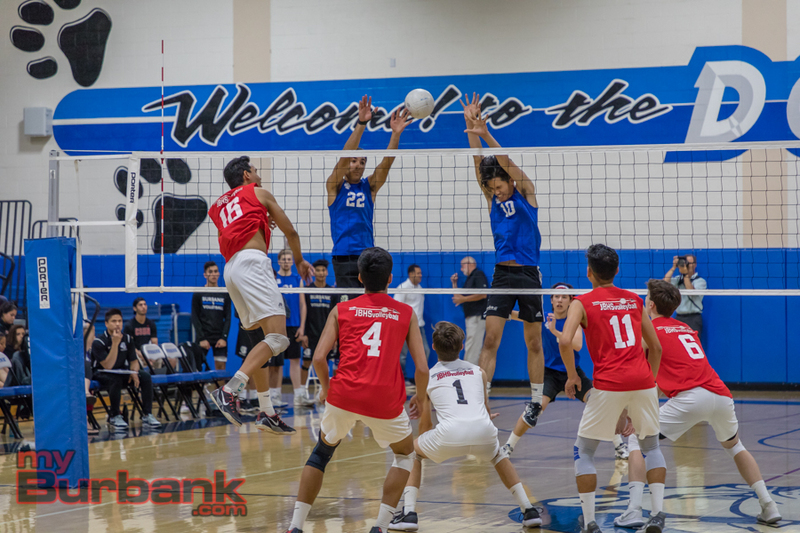 It wasn’t as lopsided as the first time the Burroughs High boys’ volleyball team faced Burbank. Still the end result was the same, but instead of a three-game sweep, the Indians needed four games in order to stifle the host Bulldogs on Thursday night. 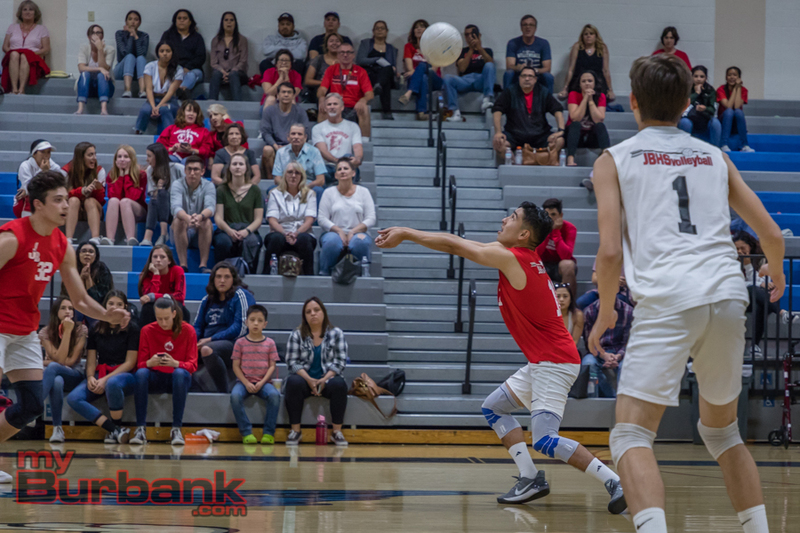 Behind the overall play of Cole Kaitz, who had a match-best 21 kills, the Indians prevailed 25-15, 20-25, 27-25, 25-22, in a Pacific League match and remain undefeated. 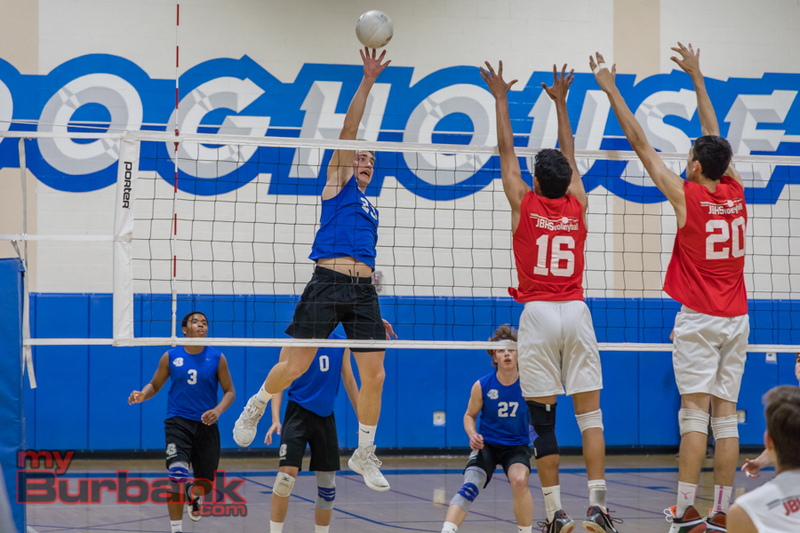 Burroughs won its ninth consecutive league banner, stretched its league match streak to 64 victories and has knocked off Burbank 14 matches in a row. Brinton said the Bulldogs put up a good fight. 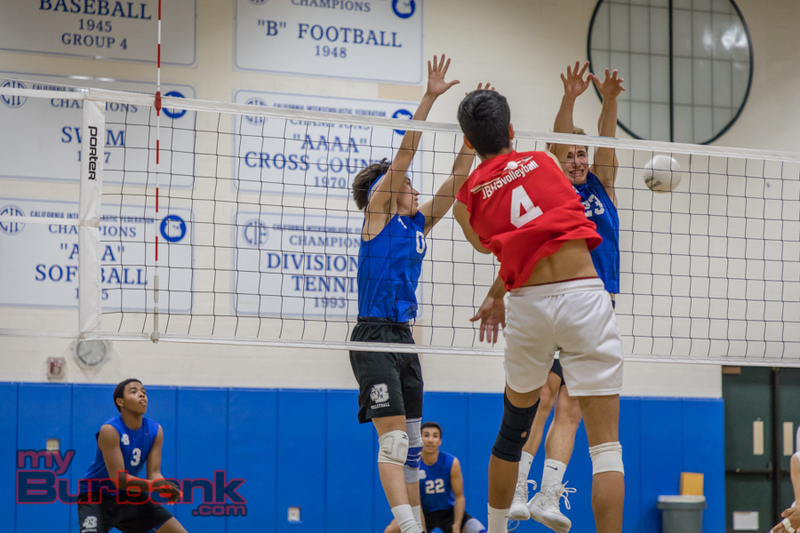 The third set was tied on 12 occasions including 24-24 on a kill from Burbank’s senior outside hitter Jonathan Ragheb, who finished with nine kills. Senior setter Brian Valmonte (41 assists) served an ace for the Bulldogs that made it 25-24, but his net serve evened it at 25-25. 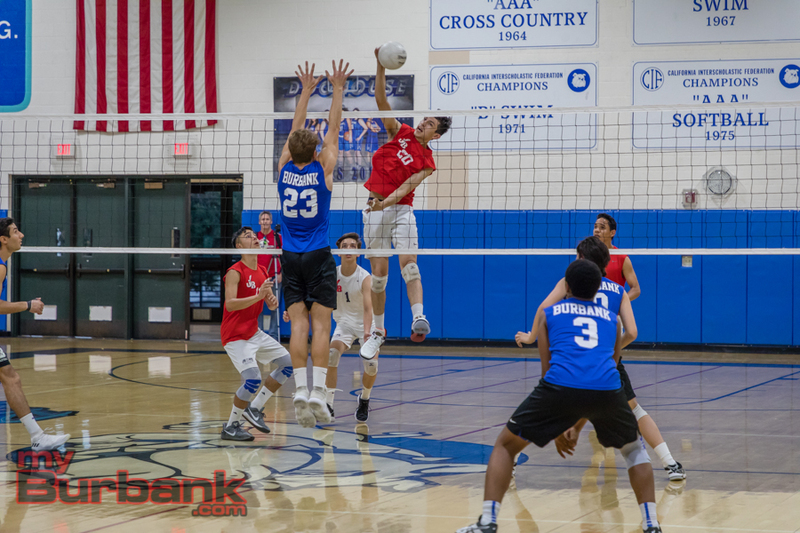 After a net violation gave the Indians (17-8 and 11-0 in league) a 26-25 cushion, Azael Estrada’s block secured the game for Burroughs. Valmonte’s spike evened it at 4-4, but the Indians’ Connor Burroughs’ winner made it 8-8. The Indians, who took out the Bulldogs 25-5, 25-11, 25-18 on March 30, moved in front 14-11 on Kaitz’s hammer and it became 17-15 on another bullet from Kaitz, who added three blocks. 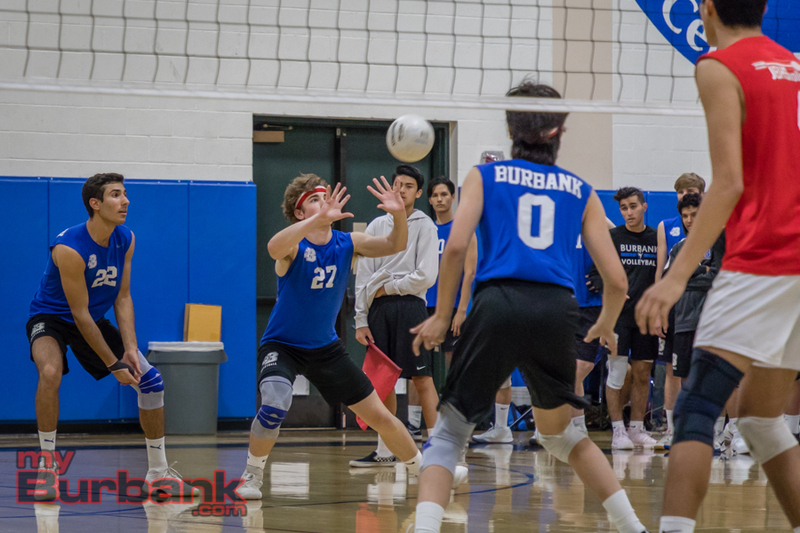 The Bulldogs (15-6 and 9-2 in league) then went on a 6-2 run that made it 21-19 and included a kill from junior outside hitter Ryan Rickey (five kills). Despite the setback, Rojo liked what he saw. The deciding set was tied 16 times including 22-22 on a dagger by Kaitz. A kill from Kaitz made it 23-22 as the Bulldogs asked for time out. Kaitz’s stuff pushed the Indians’ advantage to 24-22 and Kaitz then topped off his evening with a smash for the set and match. 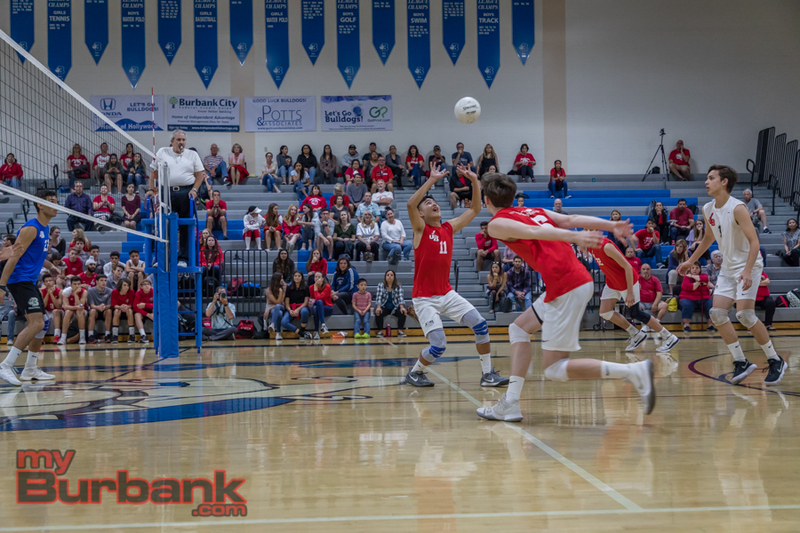 Burroughs darted ahead 5-4 on a service ace from Jose Solano (33 assists and 16 digs) and leveled it at 10-10 on Kaitz’s spike. A block from Jagger Green pushed the Indians’ lead to 12-10, but the Bulldogs outscored Burroughs 5-3 and tied it at 15-15 on Ragheb’s rocket. The initial set was a bit more one-sided as the Indians took control 3-0 on an ace from Michael Rumfola and were never headed. The advantage became 8-4 on Rumfola’s kill and 14-7 on Diego Rosal’s winner. 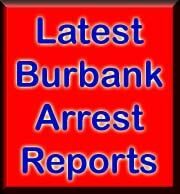 Burbank came within 16-10 on a kill from senior middle blocker Rory Rickey (14 kills). Burroughs seized control 22-13 on Kaitz’s bomb and snatched the set on a spike from Rumfola. Burbank’s best set was the second as it led 5-2 on an ace from Ryan Rickey. The Indians evened it at 10-10 on a blast from Rosal (10 kills), but the Bulldogs darted ahead 12-11 on junior opposite hitter Luca Bily’s bomb. 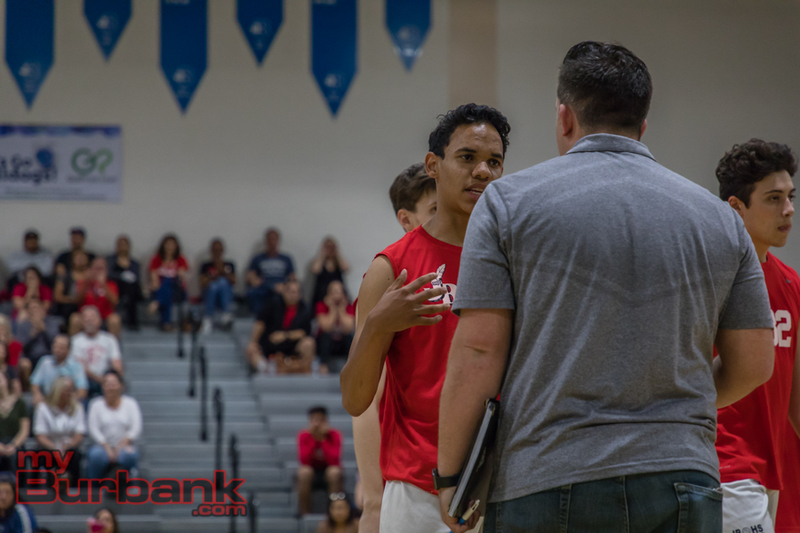 The Indians drew within 16-14 on a service winner from Rosal, but the Bulldogs went on a 5-4 spurt and led 21-18 on a kill from Ryan Rickey as Burroughs asked for a time out. A 4-2 explosion by the Bulldogs and a kill from Ryan Rickey evened the match at one game apiece. Sam Tipton contributed 16 digs for the Indians, while senior libero Eddie Curren tossed in 12 digs for the Bulldogs. 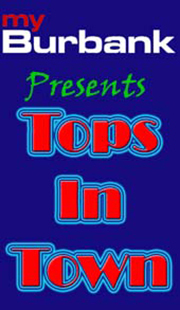 This entry was posted in Boys Volleyball, Sports and tagged Azael Estrada, Brian Valmonte, Burbank High, Burroughs High, Cole Kaitz, Connor Burroughs, Diego Rosal, Edward Curren, Jagger Green, Jonathan Ragheb, Jose Solano, Luca Bily, Michael Rumfola, Pacific League, Rory Rickey, Ryan Rickey, Sam Tipton on April 27, 2018 by Rick Assad.